At the moment there are 5 very strong supports. Alistar, Trundle, Thresh, Janna, Soraka. If you want to carry as a support I highly recommend picking up one of these 5 champions. This does not mean that these are the only good supports. But in terms of hard carrying, I believe these will give you your best chances of winning. 2. What runes and masteries do I run? Currently, I have 4 mastery pages that I run for supports. Once again I would like to make this clear. If you do something different than this, that’s totally fine. This is just what I personally run. 0-18-12 | This uses Windspeaker’s Blessing. I run this page on Janna, Nami, Soraka. 0-12-18 | This uses Bond of Stone. I run this on Thresh, Braum, Poppy (Can also go Thunderlord’s on Poppy support), Alistar, Blitzcrank, Tahm Kench, Leona, Nautilus, Shen, Trundle, and Taric. 0-18-12 | This uses Thunderlord’s Decree. I run this page on Sona, Bard, Karma, Annie, Vel’Koz, Brand, Zilean, Lulu, Zyra, and Morgana. 0-18-12 | This page is almost identical to the last one, except there’s no mana regen. I use this page when playing support Kennen. For runes it depends on the champion. I’ll post a few of my rune pages for specific champions. Feel free to run whatever you like. This is just what I’ve had success with. 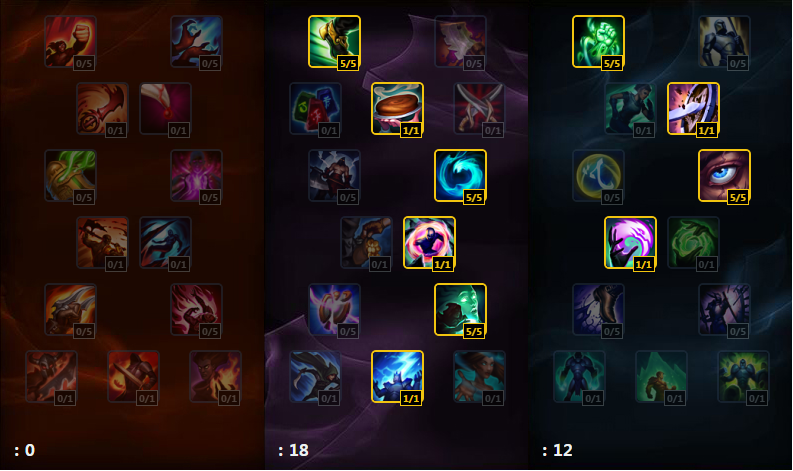 Lulu, Sona, Karma, Zyra, Brand, Annie, Kennen, Vel’koz, Bard, Zilean, and Morgana: 9 Hybrid Penetration reds, 9 Health Yellows, 9 AP Blues, 3 Armor Quints. Soraka: 9 Armor Reds, 9 Health per level yellows, 9 Magic resist Blues, 3 Flat Health regen Quints. 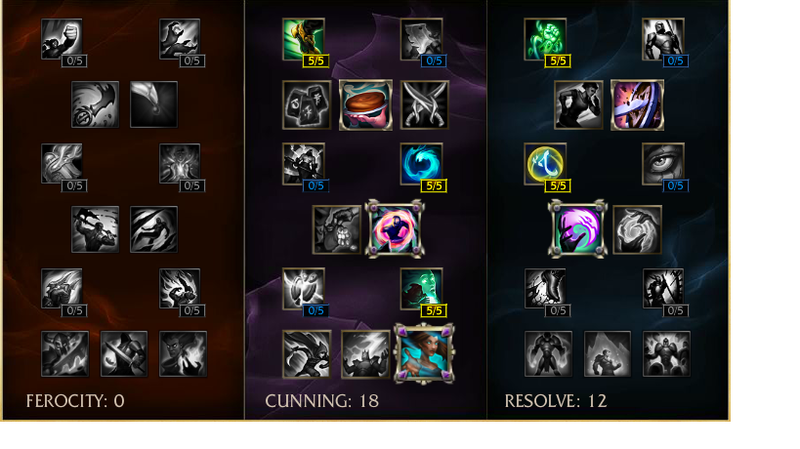 Janna: 9 Armor Reds, 9 Health Yellows, 9 Magic Resist blues (Can be substituted for AP Blues), 3 Armor Quints. (Can change to 1 Armor Quints and 2 AP Quints). Alistar: 9 Armor Reds, 9 Health Yellows, 9 Magic Resist blues, 2 Armor Quints and 1 Mana Regen Quint. 3. What items do I start with? Thresh, Alistar, Braum, Taric, Trundle, Poppy, Tahm Kench, Leona, Blitz, Shen, Nautilus: Relic shield is the best item to start on these champions. It gives good pushing power, which some of these champions lack in their kit, due to the minion execute (except for Thresh). Also gives some nice sustain and health, and of course, gold. Morgana, Nami, Janna, Annie, Brand, Bard, Lulu, Sona, Zilean, Vel’koz, Karma, Zyra: Spellthief’s Edge is what most AP supports have been starting. It gives you great harass in lane as well as some mana regen and a nice amount of ability power. Make sure to use your stacks as often as you can. Soraka: Start with Ancient coin, and quickly get Medallion for added health regen. 4. What should I build next? If you are playing a roaming support, players such as GorillA, Yellowstar, and Aphromoo often grab boots on their first base and a pink ward and pots. If they back with around 1000 gold, they will buy Mobility boots or Swifty boots first item. (This is on champions like Thresh, Braum, Alistar) This allows you to roam early on and get deep wards and have a large global impact early in the game. (The downside to doing this, is that you have no combat stats for the lane). After getting mobility boots/Swifty boots, get a sightstone. For AP supports. Your first back should probably be to upgrade to Frostfang and then get a pink ward and potions. It is totally fine to get Sightstone before your boots, because vision is extremely important in this meta due to the removal of sight wards. Pretty much every caster support in the game is getting Ionian boots at the moment. Due to the fact that Ionian boots’ price has been lowered, masteries allow the CDR cap to be increased to 45%, and it also now gives CDR to your summoner spells. Champs that should still build Mobility boots or Swifty boots are Thresh, Braum, Poppy, Alistar, Leona, Tahm Kench, Shen. (Trundle should build Ionian boots). Boots of Swiftness are also a fantastic buy at the moment, due to Frost Queen’s Claim active being extremely strong. For AP supports, your basic 10-15 minute build should look like this: Frost Queen’s Claim, Sightstone, Ionian boots, Red Trinket. 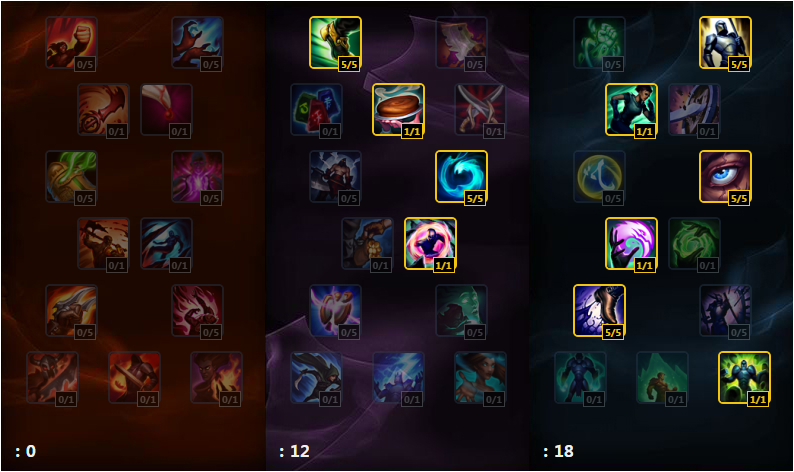 Tanky supports it should look like this: Relic Shield, Moblity or Swifty boots, Sightstone, Red Trinket. 5. What should my core items be? LEVEL 9 UPGRADE YOUR RED TRINKET PLEASE!!! After getting boots and sightstone you have a choice. We’re going to get very situational. 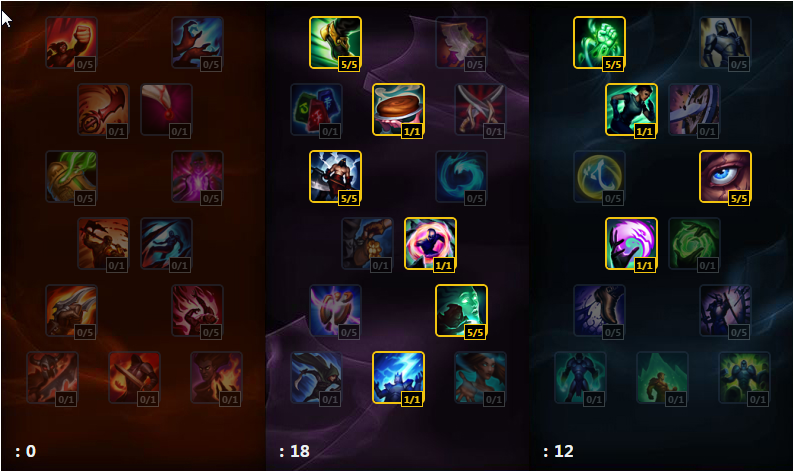 If you are playing Janna, Lulu, Bard, Nami, Sona, etc then Mikael’s crucible, Locket of the Iron Solari, Randuins, or Frozen Heart is probably your best bet. Zeke’s Herald is also a pretty good item, but honestly it’s not being built too much at the moment. If you’re playing a tank like Blitz, Taric, Thresh, Leona, Tahm Kench, Braum, Alistar, Shen, or Nautilus then look for either a Face of the Mountain, Locket, Frozen Heart, Randuins. (Please don’t get a FH on Shen). Banner of Command: I personally love this item. I find myself buying it on Janna/Bard/Nami/Sona almost every time I play them. It gives you the MR Aura of locket, but also some extra AP, and the ability to create a strong pushing lane. This is super powerful if you understand how to use it. For example. You’re team is having a hard time taking towers, even though you’re ahead. Maybe they have an Anivia or a Viktor, something with lots of waveclear. You can BoC the cannon minion of the bottom wave. And then start to ward around Baron. Once a massive wave bottom has filled up, you can bait or sneak a baron while they have a player out of position. Learning to control side-waves is extremely complex and important and would need a completely separate guide in order to fully explain it’s full-potential. Also side-note here: Eye of the Equinox, which is the sightstone upgrade of the Relic Shield, is getting picked up more and more by pro supports. I haven’t experimented too much with it yet, but I think it’s a good buy. Deciding on which item to get is an essential part of winning the game and you need to be able to judge which items are the correct ones to buy. For example: If the enemy team has an Irelia top, Nocturne jungle, Azir Mid, Jinx Adc. Then you’re going to want to pick up Frozen Heart. Because the entire enemy team scales well with attack speed. So getting a Frozen Heart is a good plan here. Another example would be, the enemy has a really strong AP wombo-combo such as Rumble and Orianna. In this case you’re going to want to build a Locket ASAP, due to the AoE Magic Resist buff it gives to your team. If I see an Ashe on the other team, I usually build a Mikael’s in order to cleanse anyone that gets hit by an arrow. Morgana: Zhonyas as fast as you can, Then you can go Mikael’s/Locket/Deathcap. Zyra: Rylai’s -> Liandry’s, then Void Staff or Zhonyas. You can then get tanky support items or continue to build AP if you want to play more as a bursty mage. Vel’Koz: Liandry’s, Void staff, Deathcap/Zhonyas. Kennen: Rylai’s, Zhonyas is Kennen’s core items for support. 6. How do I win the early laning phase? Push push push push! I see too many people playing extremely passive at level 1. Level 1 should be a race to see who gets level 2 first! It takes the first wave and then 3 melee creeps of the second wave to hit level 2. You should be counting your minions and the enemy minions to see who will hit level 2 first. What I like to do, is when we’ve killed 8 creeps, I start walking towards the enemy so that the exact second my adc kills the 9th creep, I can quickly skill my 2nd move and make a play. If you hit level 2 before the opposition, then go full aggro and try to grab a kill or burn some summoner spells (but don’t be stupid and dive the tower). However, if it looks like they will hit level 2 before you, back up and play safe at tower until you equal out in levels. You should always know which duo will hit level 2 first. If you get into this habit, I promise you will start to climb. Auto attacking or poking the support. Some supports have trouble at level one, and can’t shove very hard usually because they’re melee and have 0 ranged moves. This consists of Alistar, Leona, Trundle. For these champions I would advise just auto attacking creeps when possible. Also use your execute from your Relic Shield to help shove the wave. Try to keep the enemy under their tower, this makes csing a lot more difficult for the opponent, and usually gives your adc a cs lead, allowing him/her to buy better items. However, this makes you extremely susceptible to being ganked by the enemy jungler. Alright boys and girls, this is where the mediocre supports and the amazing supports are decided. Roaming is when you leave from your lane and go into another lane in order to grab a kill or a summoner, and then return back to your lane. So when is a good time to roam? A good time to roam is right after you’ve grabbed a kill in your lane. Lets say that you push the enemy adc and support to their tower. And then you manage to land a good hook or stun and kill the adc. Now most players in bronze/silver/gold, and even sometimes in platinum, will just go back to base. But good supports, will look at mid lane and see if the enemy mid laner is pushed up. Then you’re going to want to attempt to gank mid lane. Another good time to roam is when you’re pushed up to the enemy tower, and they’re playing so safe that there’s no chance you can get a kill. So leave the lane, head mid and tell your adc: “Trist/Vayne/Sivir/Etc, I’m roaming mid, play safe and don’t get caught”. Roam mid and make a play. Remember this important fact: If you go to roam, make sure you leave your ADC with some wards, so they don’t get ganked. As long as you ward for your adc, then it is never your fault if they die when you’re roaming. If you go to roam and your adc dies with wards, that is their fault for being in a bad position and getting caught. If you don’t trust your adc to play safe when you roam, then you probably shouldn’t roam, and should just stay in the lane. 7. How do I ward properly? I recommend warding river with your trinket once you hit level 2 if you’re pushed up. This prevents cheese from the enemy jungler level 2 ganking. Once that runs out, have your ADC ward there. Every time you base try to pick up a pink ward. I cannot stress enough how important pink wards are. If you are Blue side always put your pink in Tri-bush, as it’s extremely easy to defend it from being destroyed. If you are red side you can place it in the river bush, or in laning bushes to get your jungler to come down, but personally my favorite place to pink ward when playing on Red side is the curved bush in the river by the entrance to wolves/blue. This ward protects your mid laner, protects you from river ganks, and gives a small bit of jungle control. Once you have your sightstone, try to keep Dragon and Tri-bush warded at all times during the laning phase. Then the only thing you have to worry about is lane ganks, which can also be thwarted by warding deep in the enemy jungle. If you push the enemy out of lane, kill them, or you have them pushed into tower, now is the opportunity to enter their jungle and place some deep wards. If the enemy bot lane is pushed into their tower and you want to deep ward, you should only do so when you see the enemy jungler somewhere on the map. This lets you know that it’s safe. If you are red side. Ward their red buff bush and krugs bush. If you are blue side, you can ward their blue buff or gromp and also the tri bush that is next to their turret by blue buff. In the mid/late game when you’re winning, try to ward as deep as possible. ONLY DO THIS WHEN IT’S SAFE! Warding wraith bush, red buff, blue buff, and deep in their jungle are great wards for your team to make picks and decisions. You should constantly be having 3 wards placed and a pink ward. Another good place to ward is in the middle of lanes once a tower goes down. If you’re winning, placing a ward in the middle of mid lane near the entrance of wraiths is good. This ward helps you see where the enemy team is rotating to. If you are losing, you want to ward your own jungle as much as possible. Try to keep major pathways and bushes lit up. 9. How do I play teamfights? Do I peel or do I dive? This depends on your champion and situation. I’ll try to make a list of some champions to know your role in teamfights. DO NOT FORGET TO USE ACTIVE ITEMS DURING TEAMFIGHTS!!!! Braum: If initiating try to land an ult on priority targets. If you get initiated on, then immediately use your ult to peel for your adc. Make sure you are Qing and autoing different people in order to proc your passive on enemy targets. Make sure you use your E to block enemy projectiles. Shen: If you are initiating, most of the time you will never land a point blank taunt on a priority target. So you’re going to have to get good at “Taunt-Flashing”. Taunt-Flashing is the action where you flash in the middle of your Taunt animation. This can extend the range of your taunt and can completely catch people by surprise. Here is a video showing it: https://youtu.be/2hK4gudi5WI?t=24 (Credit to TiensiNoAkuma). If you get initiated on, then use your taunt to peel for your adc. If it looks like your adc is taking a bunch of damage, then use your ultimate to give them a shield. Nautilus: If you are initiating, land a hook or ult a priority target that is out of position. Auto attack them, and E etc. And stick to the target you’re going on. If you get initiated on, then stand back with your adc and use your ult, Q, E, and auto attack to peel. Morgana: Try to catch people with binds to initiate fights. If you get initiated on you have 2 choices. If you have a zhonyas you can flash into their entire team and ult + zhonyas. If you don’t have a zhonyas I recommend using your ult to peel for your adc. Make sure you black shield important allies that don’t want to get cc’d. Like Katarina, Fiddlesticks, Swain. You can also black shield your adc to help peel. Bard: When you’re going for an initiation on Bard, you’re going to want to try to pick people off who are out of position with your ultimate. Spamming Q’s before fights is always good, because chances are, you’ll stun someone and your team can capitalize on it. During the fight itself, most Bards will just randomly throw their ult into the middle of the fight, which can really screw up your teammates. Most of the time this does more harm than good. Personally, I find the best thing to do, is if you didn’t use your ult to initiate, to just save it during the fight. Just spam Q’s and peel for your ADC. Use your HP packs to give them movement speed and bit of HP.But my best piece of advice is: Do not randomly throw your ultimate into the middle of a team fight. Trundle: Trundle is probably one of the strongest supports in the game right now. And he’s incredibly simple to play. Just spam your pillar everytime it’s off cooldown. You can use it to initiate or peel. It can also cancel dashes of certain champions. Such as Corki W and Tristana W. His ult is also great for peeling, because it destroys the armor and magic resist of the tanks that are diving your adc. This lets your adc shred them super hard. Also make sure to spam your Q during teamfights. It steals the attack damage of whoever you bite. So use it on champs that are on your adc. Brand: Brand is pretty straight forward in fights. Use your stun to peel your adc, and try to get your ult to hit as many people as possible. Poppy: A lot of people are playing Poppy Support at the moment, and for good reason. Her peel is absolutely insane. Anyone that starts to dive on your adc, you can just channel your ulti and send them 3 screens away. Standing next to your adc and having your W up stops most champions from gap closing onto your adc. Your E and Q also peel really well. Poppy is a fantastic support at the moment. Tahm Kench: Tahm Kench has the same problem that Bard has. It’s extremely easy to screw over your team. This is done by eating your ally at the wrong time. If your adc or whomever gets caught out of position by a bind or a hook, then by all means Eat them and take them to safety. However, it becomes extremely difficult to make the call during an all out 5v5. What I try to do, is to build up stacks on whoever is on top of my adc. I save my W and just stun the assaulting opponent with my Q. If my adc ever drops below 15-20%, I usually start getting ready to eat them. Never eat your adc too early. Because when you’re adc is inside you, they’re also not putting out any DPS which is a huge problem. Leona: Try to hit as many people as possible with your ult. Leona has probably the best engage of any support. You can dive on to priority targets, or if your adc needs help, you can sit back and peel with your stun. Thresh: Try to initiate with your hook, if you land one on a priority target, go in and try to kill. If you get initiated on. Put your box between your adc and the incoming enemies. Use hook and flay to peel for your adc. You can also throw a lantern to them, and run in the opposite direction so they can grab it an create space. Lulu: If your team initiates, try to ult the person who is initiating in order to get a multi person knock up. For example if your malphite ults 3 people to start a fight. You should ult the malphite right as they touch the ground so they get knocked up again for a sick combo. If you get initiated on. Sit back with your adc. Use your ult to keep him alive. Polymorph incoming enemies and use your slow to create distance while peeling. Annie: Try to initiate with a flash tibbers. Then either chase targets or spam your spells to get another stun and peel if needed. Janna: If your team initiates, you most likely won’t need to ult. Just shield the people getting focused or shield your adc to increase their damage that they’re dealing. If you get initiated on, ult immediately to create space for your team and begin to peel for your adc. Always try to get the full channel of your ult if possible. Karma: Use your mantra charge intelligently. If your team is chasing. Then use it on shield. If you find that you’re peeling then use it on Q to create a large slowing field. W targets as well. Karma is a very peel oriented support. Blitzcrank: Try to pull a priority target, then knock up, and silence. If you get initiated on. Try your best to peel with hook and knock up. Unfortunately, Blitz is insanely outclassed in terms of peeling, and it is by far his weakest asset. Alistar: Alistar has a combo, that every great Alistar knows how to do. It’s called the “Headbutt-Pulv” combo. It’s a great combo that work as a “Mini Malphite ult” Here’s a video explaining how to do it:https://www.youtube.com/watch?v=e8s1WvAYpgs (Credit to ChuChuZs). In teamfights you’re going to want to try to initiate fights when playing Alistar. The most common initiation is Flashing then using Pulverize, then Headbutting the target into your entire team. If you get initiated on, then you’re going to want to peel. Many Alistar’s use the “Headbutt-Pulv” Combo in teamfights. However, I find that saving your spells to have 2 different cc’s is more effective when it comes to peeling. Kennen: Kennen was pretty popular during worlds and the off season. However, he’s not being seen as a support that much anymore. Personally I really enjoy Kennen support and think it’s really strong. Kennen acts similar to Morgana due to the fact that he can dive into a team and Zhonyas, or he can peel. I usually like to stand a little bit in front of my ADC when the fight breaks out. And the second enemies start to dive in, I turn on my ult and spam spells. Try to constantly stun as much as you can. Rylai’s is a good item on Kennen and helps him peel. Nami: Try to land an ult that hits as many people as possible, Try to stick with your adc and keep placing your E on them. Land as many bubbles as you can, and heal to keep your adc alive. Sona: When initiating, Flash Crescendo as many people as possible. Sona can initiate pretty well, but it is also great follow-up. In teamfights you pretty much just spam your spells the second they come off cooldown. When peeling with Sona, you don’t really have much, but one thing she can do, is use her E power cord to slow targets that may be coming at your adc. Soraka: Soraka in teamfights usually consists of spamming heal on your adc or whoever needs it, spamming starcall and ulting sometime in the fight. The one thing that makes Soraka extremely useful in teamfights is her ability to silence. If there’s an ability that needs to be cancelled (Kat, Fiddle, Nunu, ect) Make sure you save your silence for that channel. Otherwise try to place your silence on the enemy casters, because they usually can’t put out damage without using their spells. Zilean: Save your ult until one of your carries gets low. I personally find that many Zilean players use the speed up portion of his E during team fights. I actually find using his E to slow the incoming attackers is much stronger. It also lets you land a free double bomb stun. Zyra: Her disengage is great. She’s a pretty decent pick if the enemy is running a diving composition. If you get initiated on, make sure to lay down your ultimate. Try to root as many people as possible. Vel’Koz: Sit back and try to ult as many people as possible. Use your E and Q to help peel. You’re basically a 2nd AP Carry. Thanks for reading, any questions or comments please post them below and I’ll try to reply. My IGN is Claves. Feel free to add me if you have any questions.